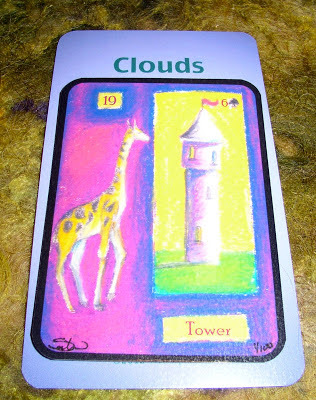 Weekend Reading: Tower in the House of Clouds from Beth Seilonen's Magick Lenormand (featuring Magick Moonbeam!) 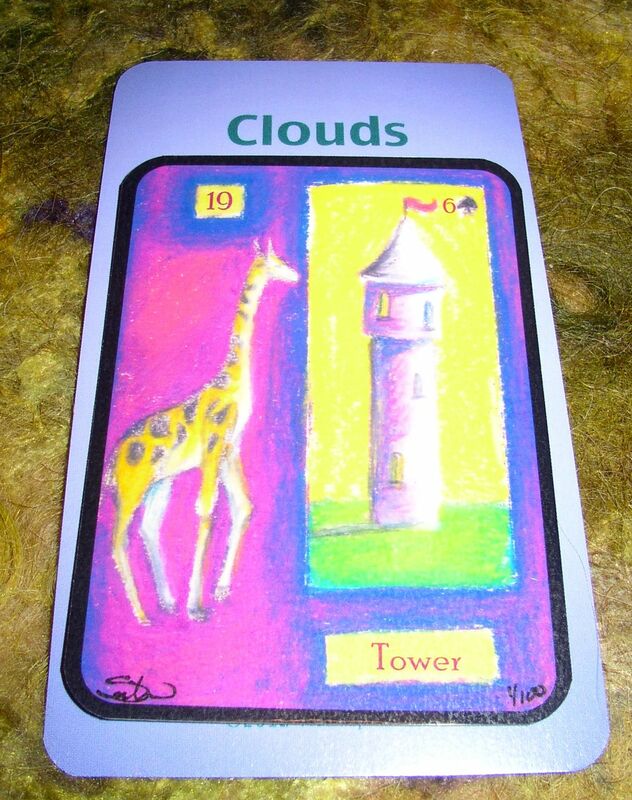 and my Deck of Lenormand Houses. There could be some complications with those in authority, issues between you and some large organization or some gray area of the law showing up this weekend. Or, really, it could be all of the above. It could even be that someone's undermining YOUR authority. Even on a day when the wind isn't in your favor, clouds pass quickly enough, however. So just get through this phase knowing you'll be back to blue skies soon. To fight against something bigger and better prepared than you, however, could bring on a whole weather system of gloom. So if you get stopped for a ticket, be polite. If you get your paw slapped by your boss, be contrite. And if you get placed on hold forever while some company is looking up your account information over the phone, sing along with the Muzak®.